A Project Management Institute (PMI) a világ legnagyobb projektmenedzsment szervezetének minősítései komoly vizsgákon keresztül érhetők el. 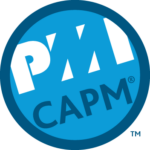 A Certified Associate in Project Management (CAPM) bár a kevesebb tapasztalattal rendelkező projektvezetőket, koordinátorokat, pályakezdőket célozza meg, a vizsga más PMI vizsgákhoz hasonló nehézségű. 20 kérdésből álló mintatesztünkkel a felkészítő programunkhoz hasonlóan a felkészülést szeretnénk támogatni. Az alábbi kérdések jól szemléltetik, hogy milyen jellegű kérdések várhatóak a CAPM vizsgán. 1. Your project is moving ahead of schedule. Management elects to incorporate additional quality testing into the project to improve the quality and acceptability of the project deliverable. This is an example of which one of the following? 2. You have just informed your project team that each team member will be contributing to the lessons-learned register. Your team does not understand this approach and wants to know what the documentation will be used for. Which one of the following best describes the purpose of the lessons-learned documentation? Offers historical information for current and future projects. Offers input to team member evaluations at the project conclusion. Offers evidence on project progression as reported by the project team. Offers proof of concept to the management. 3. Your project is to document all the computer system in your company. Your project team was required to document the operating systems, the hardware, the network configuration, and the software on each computer. You have finished the project scope according to plan. For the customer to accept the project, what must happen next? Scope validation should be conducted. Nothing. The plan is complete, so the project is complete. Lessons learned register should be finalized. 4. One of the stakeholders of the project you are managing asks why you consider the scope statement so important in your project management methodology. You answer her question with which of the following? The project scope statement serves as a reference for all change requests to determine if the change is in or out of scope. The project plan and EVM work together to assess the risks involved with proposed changes. Project managers must document any change before approving or declining them. 5. With four months to completion, you realize your project is running late. You decide, with management’s approval, to change the relationship between several of the work packages so they begin in tandem rather than sequentially. This is an example of which one of the following? 6. Christina, a project manager for her company, is explaining the difference between a Gantt chart and a milestone chart. Which of the following best describes a Gantt chart? A Gantt chart depicts the work in the project against a calendar. A Gantt chart depicts the work in the project against each resource’s calendar. A Gantt chart compares the work in the project against the work that have been completed. A Gantt chart depicts what was planned against what occurred. 7. What is the present value if an organization expects to make $100,000 four years from now and the annual interest rate is 6 percent? 8. You are the project manager for the construction of a new hotel. Before you begin the cost budgeting process, what is needed? Cost estimates and supporting details. A parametric model used to arrive at the costs submitted. Cost estimates and project schedule. 9. Which of the following can be described as a business philosophy to find methods that will continuously improve products, services, and business practices? 10. Yolanda is the project manager for her company and she’s working with the project team to identify errors in the project deliverables. As part of the process, Yolanda and the team must calculate the cost of the error, the materials, the time, and the cost to redo the work. In this instance, in regard to quality management, which of the following is not an attribute of failure costs that Yolanda will need to consider? 11. Charles is the project manager for the WAC Project. The customer and a project team member are in conflict over the level of quality needed on a sampling. Charles decides to split the difference between what the two stakeholders want. This is an example of which of the following? 12. Your latest project will span across three countries and utilize four languages: English, Chinese, French, and Spanish. In this project, you’ll rely heavily on virtual project management. Of the following, which one is a benefit of using a collocated team? The project team is dispersed, so communication increases. The project team is dispersed, so the team is self-led. The project team is in the same physical location, so project costs are greatly reduced. The project team is in the same physical location, so their ability to work as a team enhances. 13. You are presenting your project performance to your key stakeholders. Several of the stakeholders receive phone calls during your presentation, and this is distracting from your message. This is an example of what? 14 You are the project manager for the OOK Project. You will be hosting project meetings every week. Of the following, which one is not a valid rule for project meetings? Schedule recurring meetings as soon as possible. Allow project team members to have an input to the agenda. Allow project meetings to last as long as needed. Distribute meeting agendas prior to the meeting start. 15. Your project sponsor has asked that you use an approach to measure the probability and impact of the risk events and then to rank the events accordingly. Which risk analysis provides the project manager with a risk ranking? 16. You are presented with the following: 40% and $500. What is the EMV? 17. A project manager is considering the marketplace and how it may affect the pricing on the procured portion of her project. She determines that in her market, there is only a single-source seller. A single-source seller means what? There is only one seller the company wants to do business with. There is only one qualified seller. There is a seller that can provide all the aspects of the project procurement documents. 18. Which one of the following is not a valid evaluation criterion for source selection? The age of the contact person at the seller. The technical capability of the seller. 19. Which one of the following examples best describes the concept of interactive communications in stakeholder management? Sending e-mail messages to select project stakeholders. Hosting a project status meeting. Creating report on the project status. Creating a secured project repository that only allowed stakeholders can access. 20. How does the issue log help you prepare to control stakeholder engagement? The issue log will help you track and respond to issues and communicate issue status. The issue log is not an input to control stakeholder engagement. The issue log is only needed when issues are defined by stakeholders. The issue log will help you determine which stakeholders are causing project issues.